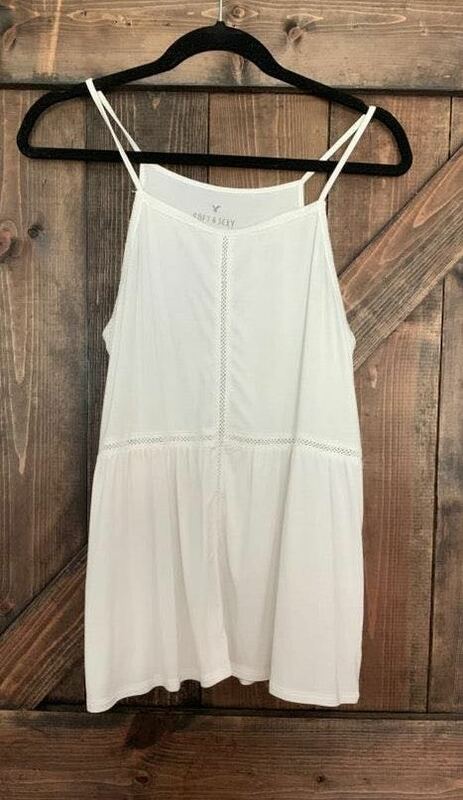 White detail flow tank/shirt. Can fit both small and medium. Worn only once and in great condition! If you Venmo me I’ll cover shipping!